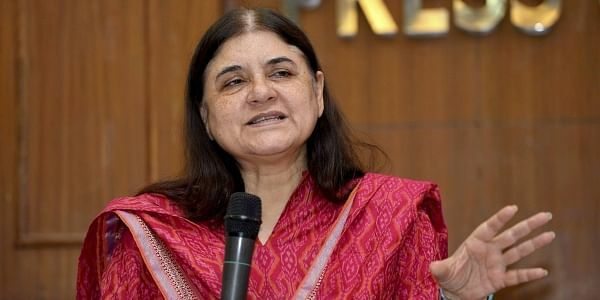 Maneka Gandhi had written to Piyush Goyal suggesting that kids of separated or divorced women or those adopted by single mothers must be given the option of dropping the name of their father. NEW DELHI: The NCW and several women activists today welcomed the Women and Child Development (WCD) Ministry's proposal letting children of single mothers apply for a PAN card without mentioning the name of their fathers. WCD Minister Maneka Gandhi had written to interim Finance Minister Piyush Goyal suggesting that kids of separated or divorced women or those adopted by single mothers must be given the option of dropping the name of their father. Lauding the proposal, National Commission for Women (NCW) chairperson Rekha Sharma said it should have been implemented earlier as it would empower women. "It is something that is very progressive and should have probably been done earlier, but thinking about it now is also a very good decision," said Sharma. "Women need not identify themselves with a man and it is a welcome move that will empower them," she added. Woman rights activist Mariam Dhawale opined that if Gandhi's suggestion was implemented, it will resolve a lot of issues faced by single women. "It would prevent obstructions by men who generally create hurdles," she said. Ranjana Kumari, Director at the Centre for Social Research, said there should be an option to mention any one of the parents' name in the application form to ease the procedure for single mothers. While, senior CPI leader and social activist Annie Raja too applauded the proposal. "It will help many children who unnecessarily face hurdles in getting their PAN card made," she said. The Permanent Account Number (PAN) card is a unique ten digit alphanumeric identity that the Income Tax department allots to each tax payer. In her July 6 letter to Goyal, the WCD minister had said, "Keeping in view the sensitivity of such single mothers, it is important to give them the option of not having to mention the names of their ex-husbands on the statuary applications before different government authorities.
" "Besides this, single women are also adopting children and my ministry is giving priority for such cases.In such cases, there is no father of the child whose PAN number is being requested for," she added.